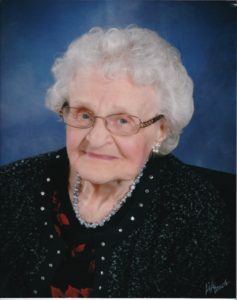 Catherine Josephine Korik Gover, 95, formerly of Connecticut and Vero Beach, passed away April 6, 2019, at Stanley Total Living Center. Mrs. Gover was a devoted wife and mother raising her children with love and personal care. She was a devoted Christian and active member of Flint Grove Baptist Church. Left to cherish her memories are her children and their spouses, Gwendolyn J. Bowers (husband, Richard), of Charlotte, Donald Gover (wife, Linda), of Newtown, Ct., Marianne Hopkins (husband, John), of Blairsville, Ga., Jeffrey Gover (wife, Laurie), of Vero Beach, and Jeanette McFadden (husband, James), of Vero Beach. She is also survived by 13 grandchildren, 27 great-grandchildren, and two great-great-grandchildren. She was preceded in death by her loving husband of 48 years Harold B. Gover. The family received friends at Flint Groves Baptist Church, Gastonia. A funeral service followed. Burial followed at Crestlawn Cemetery, Vero Beach. In lieu of flowers, memorials may be made to Flint Groves Baptist Church, 2017 E. Ozark Ave., Gastonia, NC 28054. Condolence messages may be sent online at www.mcleanfuneral.com. McLean Funeral Directors of Gastonia is serving the family.